LWE presents SideXSide - a three part series of music events that create DJ partnerships that aim to excite, challenge and inspire. The concept is very simple: Two artists sharing an entire night of music, playing together; side by side. With an eight-hour night as their 'blank canvas', the DJs have time to push boundaries, to dig deeper into their record collections, pulling out classics, dancefloor destroyers, hidden treasures and even a few guilty pleasures along the way. 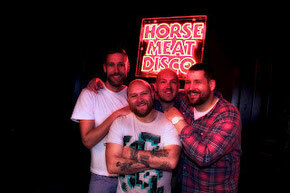 Now into their eighth year, Horse Meat Disco have continued to lead the way with packed residencies at HQ at The Eagle in London's Vauxhall, Lux in Lisbon and with the Tape organisation in Berlin. Inspired by the music and inclusive ethos of New York's club scene during the '70s and '80s, Horse Meat Disco have garnered a unique reputation, the quartet of DJs each mixing their own individual blend of disco juice with all manner of dancefloor fillers. HMD will perform alongside New York legend Danny Krivit, his list of residencies and associations demonstrates every ounce of his legendary status. 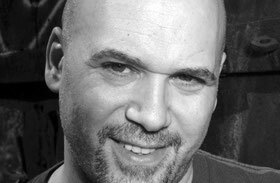 Danny Krivit is the don behind the immensely popular 718 Sessions and one-third of the Body & Soul collective. He started DJing at age 14 and learned from all the greats, including James Brown, David Mancuso and Larry Levan and became famous for his funk, soul, and disco edits (under the Mr. K name).